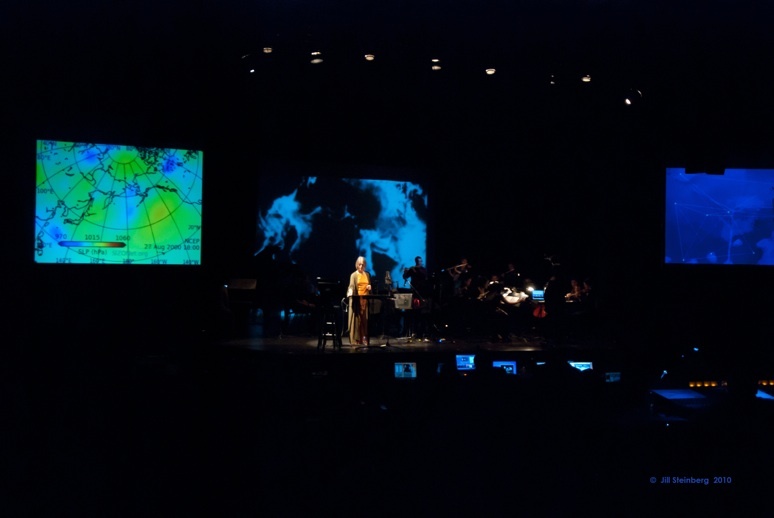 Internet2, the nation’s most advanced networking consortium, presented the Internet2 Driving Exemplary Applications (IDEA) award to Matthew Burtner of the University of Virginia and myself for the creation of the telematic and media-enriched opera, Auksalaq. Photo: Jill Steinberg; Ear to the Earth Festival, 2010. You are currently reading Auksalaq Presented with Internet2 IDEA Award at Scott Deal.